Wouldn’t happiness be a place of well-being, simplicity, harmony and proximity to the nature? Does it make us feel good when the primeval beauty of landscapes is cordoned off by concrete walls? While it is high time we did rethink the impact on the environment made by our consumption choices, including leisure activities, at BubbleTree we have decided to find a solution relating man and nature and offer it to tourism professionals and people who share our values. 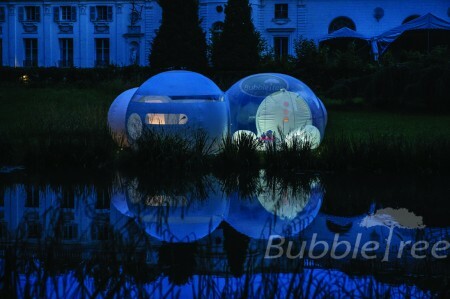 The concept designed and implemented by BubbleTree supports ecotourism projects. By reducing real estate pressure and preserving natural zones we align our mission with humane approach to macroeconomic development. 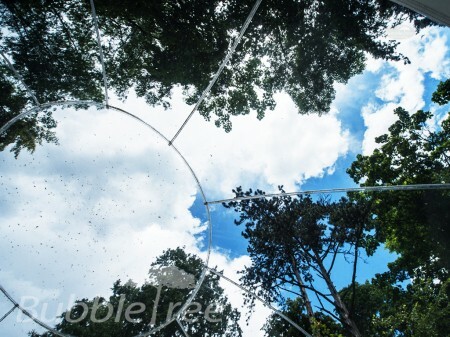 BubbleTree proposes innovative responses conforming to our core values: proximity to the nature, minimum impact on the environment, integration with the landscape and consideration of socioeconomic aspects. The Bubbles do not need to be set up the whole year. Dismantling is simple and quick. Connection to sewer system is not necessary, and we propose using dry toilets. The kitchen is not installed inside the Bubbles. Our accommodations devoid of heavy infrastructure are totally reversible. BubbleTree has elaborated on a range of technologies and products to be able to ensure top comfort whatever the site is, and that without contaminating the environment. We offer solutions for very hot or cold climates, or, for another example, propose autonomous showers that use reverse osmosis water recycling. 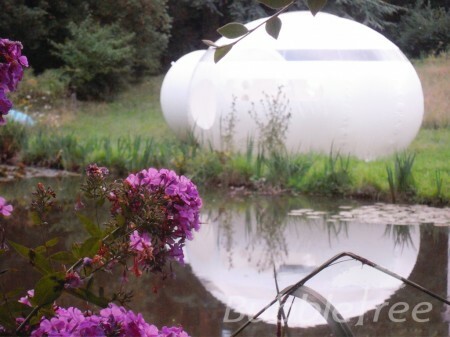 The form of the sphere seems to be initially designed to give us the feeling of well-being, security and serenity. Nature chooses the sphere to create and protect life, while the sphere’s unique physical characteristics make it an essential element of space and submarine architecture. In the middle of a wheat field, out in a park or meadow—a crystal of a Bubble.